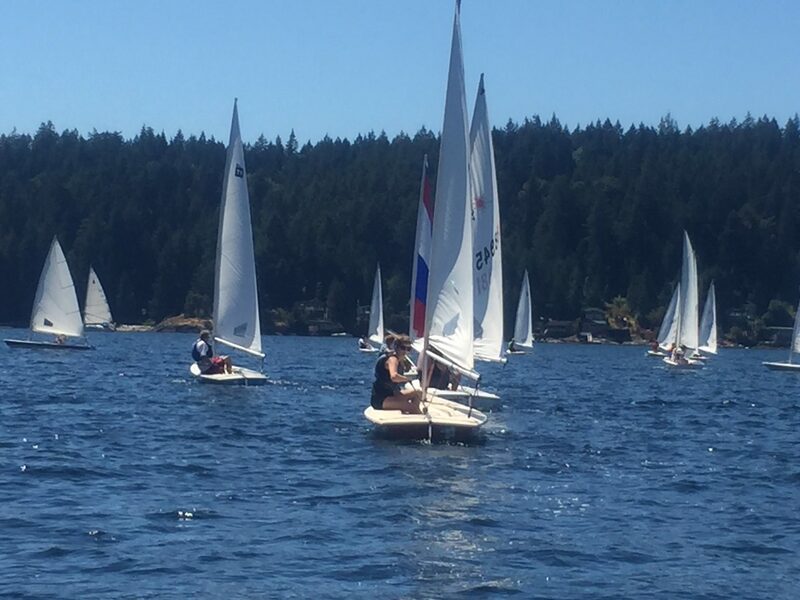 We were invited on behalf of Bruce Kerr and the Gibsons Sailing Club to participate in the Sea Cavalcade Regatta in the Shoal Channel for the Last Sunday in July. 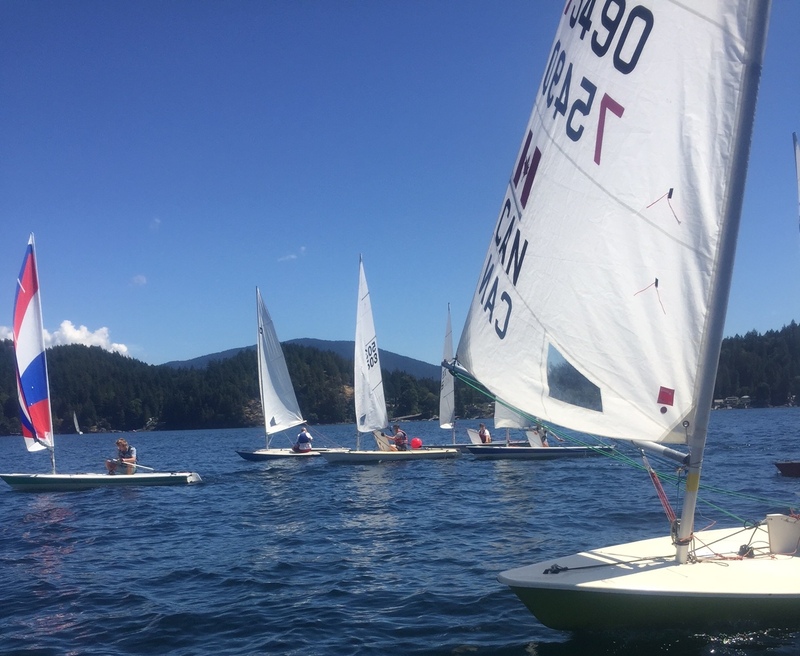 Seven of us packed up our boats and took them down to Gibsons Landing to race with the 13 youth in the channel. Even though Lasers are designed as a car topper and “easily” transportable it’s still took some doing to get the boats down to Gibsons Marina and rigged up for the event. But once we got out on the water with decent wind and sunny skies the extra effort was worth it. The seven SCSA members were happy to take part and sail on a new course, with different wind flow, and new ocean currents. A total of 20 boats were on the water with 420’s, Optimists and Laser 4.7 and the standard laser all racing around the marks. The fleet going down wind.